Knowing how peckish we all are for hard-bitten detectives, vile murderers, and Titus Welliver’s all-star eyebrows, Amazon has announced that it’s ordering another round of Bosch for the table. The third-season order—which, now that we think about it, would really go well with a nice red and a little plate of cheese, so if we could get that started it’d be great—comes less than a month after the online retailer released the second-season of the critically well-regarded cop show onto its Prime streaming service. 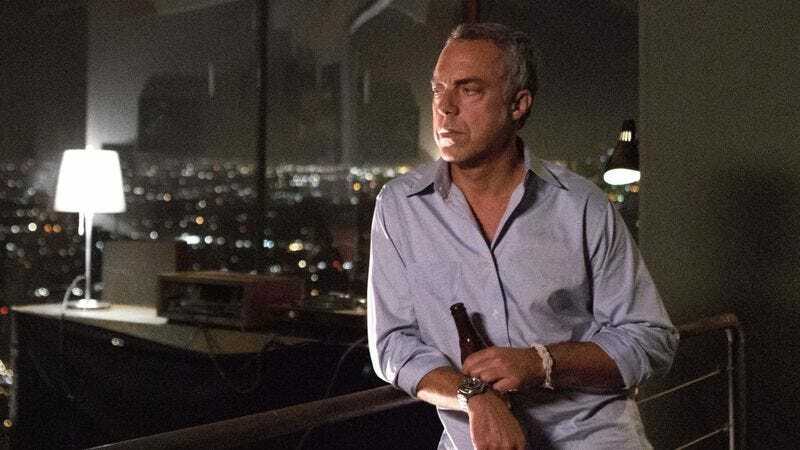 Based off of Michael Connelly’s long-running, oft-copied series of novels, the show stars Welliver as jazz-loving, rule-breaking LAPD detective Hieronymous “Harry” Bosch, whose cold exterior belies a passion for justice as deep as our own love of that spinach-artichoke dip you guys do, so maybe let’s get that started, too? The series also co-stars Jeri Ryan, Jamie Hector, Amy Aquino, and Lance Reddick, because you can’t have a nice, mid-priced lunch—sorry, a TV cop drama, is what we mean—without Lance Reddick there to glower at people and remind them of The Wire. Hey, could we get a refill on water, along with this 10-episode order that will presumably arrive some time early next year? Thanks, you guys are the best.